My father bought a tape recorder when I was ten year old, in 1969. I played a lot with it, trying to make montages of music, that I recorded from his records. I never managed to produce what I had in mind. 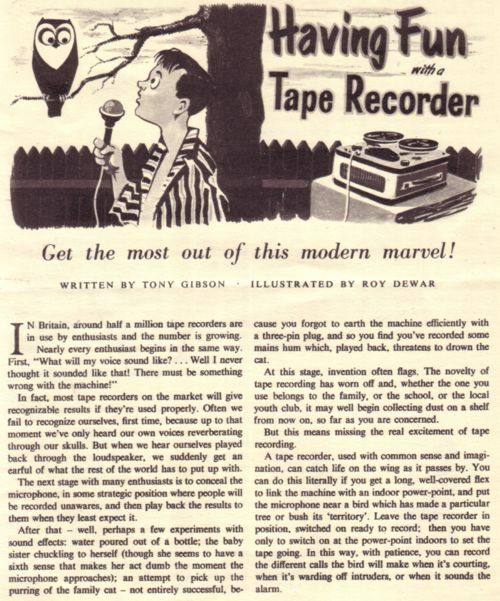 But what I had in mind didn’t come close to what I later learned that other people did with tape recorders! 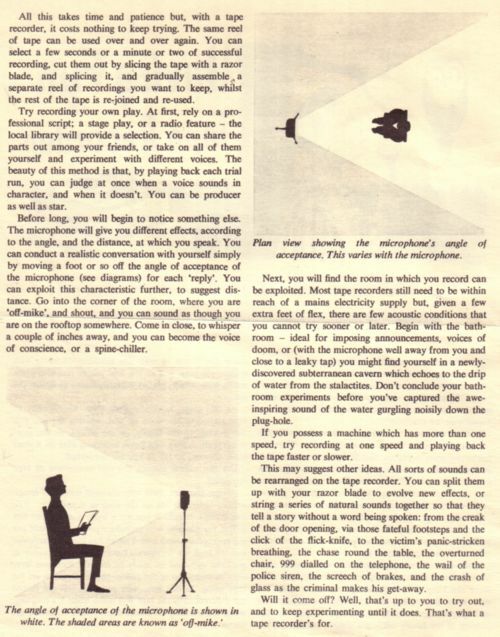 I have not written yet about the pioneers of tape recorder music, and I will not do it here and now either. Today I will say a few words about the amateurs that toyed around with tape recorders. In Holland there was for several decades an organisation for home tapers, the Nederlandse Vereniging van Geluidsjagers, the NVG. I was a member of that organisation for a while in the eighties, and I still have some of the cassettes that they released. On these cassettes are some works by members of the organisation. The reason why I became a member of the NVG was an LP, released by the NVG in 1975. On that LP are some real great home tapes. More about that LP later too, if time allows. Today I want to share with you a 45 record, also released by the NVG. I don’t have the record, I got a recording on tape from Dolf Hell. So I cannot tell you anything about it. But if you understand Dutch, you get a pretty good idea of what the NVG and it’s members were up to.